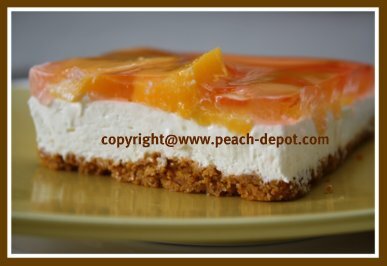 Looking for a Peach Dessert Recipe idea using CANNED or Fresh Peaches? 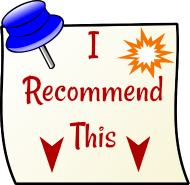 You have just found the best one! This No-Bake Dessert Recipe is quick and easy and makes an amazing dessert with peaches and cream cheese. This scrumptious dessert is the type of fruity, fresh and light dinner finale that guests are never too full to enjoy! A great dessert recipe that can be made ahead of time, allowing you to spend more time with your guests or your family. The cracker crumb crust and colourful layers give it great "eye appeal" too! In a small bowl, dissolve the peach gelatin in the boiling water, stir in the cold water. Refrigerate for 1 1/2 hours or until slightly thickened. In a medium size bowl, combine the graham crumbs, sugar and butter. Press into a 13" x 9" baking dish. In another bowl, using an electric mixer, beat the cream cheese until smooth. Add the sugar, continue to beat, add the milk, and continue to beat until smooth and well combined. Spread over the crumb crust in the baking dish. 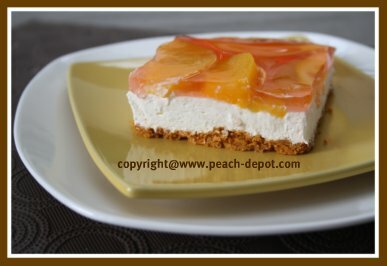 Cut the peach slices in half lengthwise, and arrange slices over the top of the topping in the dish. Using a large spoon gently spoon he gelatin over the sliced peaches. 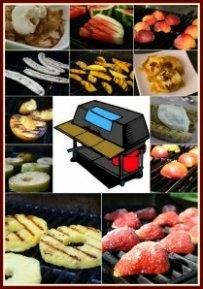 Refrigerate until set. 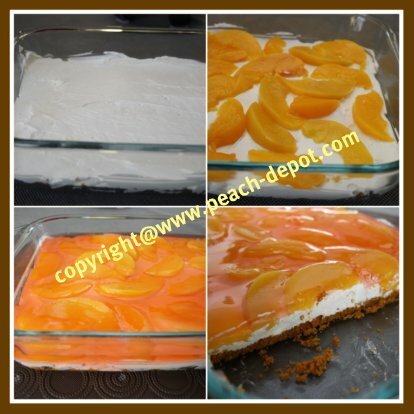 Looking for recipes with Cream Cheese and Peaches?